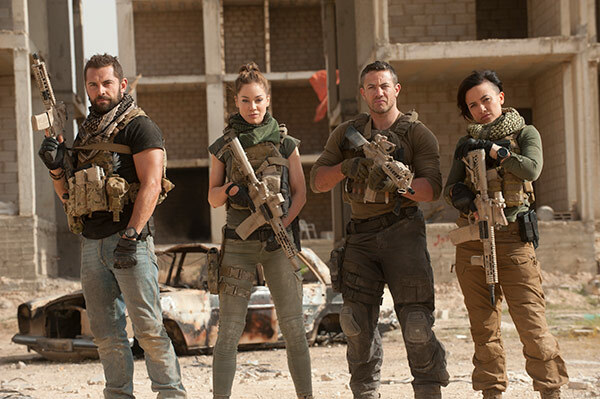 Strike Back is back and better than ever before. The new series of the top espionage series will return on Tuesday, October 31st with a new team, new mission and new enemies. When the mastermind behind some of the worst ever acts of Western terrorism is freed during a jailbreak, Colonel Adeena Donovan (Nina Sosanya) must recruit the very best agents to seek him out. Together, they’ll be hurled into a world of high-powered socialites, arrogant Saudi Princes and nefarious arms dealers. Can they find Idrisi and his cunning wife Jane Sowry before they pull off their horrific plan for Europe? The clock is ticking. Sergeant Thomas McAllister, also known as Mac, is a very experienced sergeant seeking revenge on Idrisi after his whole squad were killed during the jailbreak. After barely escaping with his own life, Mac’s fury over the faulty intelligence received on Idrisi lands him in military prison. It’s there he meets Donovan, who is looking to recruit a man with exactly his abilities and knowledge. He is portrayed by Warren Brown, who describes Mac as “very good at what he does” and a “dangerous weapon” for the team. Sergeant Samuel Wyatt is an experienced and nihilistic special ops soldier who prefers operating alone. He’s thrown into the equation when McAllister rescues him from the clutches of a rogue Libyan general and is none-too-excited about the prospect of working with McAllister and sharing his intel on Idrisi. Lance Corporal Gracie Novin is an Australian Iranian Special Ops Command with an expert understanding of machinery, having worked her way up as an engineer. She’s easy-going and the best team player of the group and joints the team after saving both Mac and Wyatt. Alin Sumarwata says Novin “loves a laugh and a drink” but watch out because she “always has her senses tuned in and ready to pounce”. She’s also a “pretty ace sniper”. Completing the new team is the introverted and inscrutable Captain Natalie Reynolds. The team’s captain is no stranger to the world of Section 20, having grown up shunted from army base to army base because of her father. She’s enigmatic, willing to use her sexuality to her advantage and unsure about whether her new colleagues are truly up for the task at hand. is the captain and she wants to maintain a level of distance”. There’s a lot beneath the surface, however, which will be unveiled. 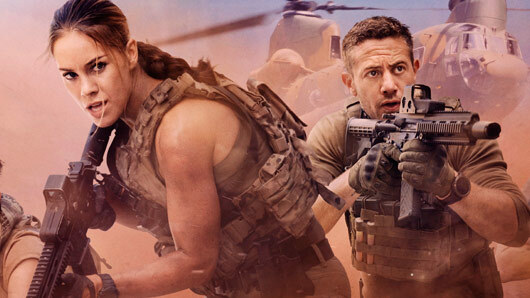 Strike Back returns to Sky One on Tuesday October 31st at 9pm.